"Dr Huang was wonderful. This was our first visit with her and I was so appreciative of the amount of time she spent with us. She was thorough, knowledgeable, and very easy to talk to. She brought up key questions to assess my daughter that I would not have thought to bring up on my own. She gave suggestions that were beyond what I have gotten for other developmental pediatricians in the past. She was very easy to talk to and very good with my daughter; being very careful not to push beyond what would make her anxious or uncomfortable." "She is... She is kind & sweet. She explain. Very, very helpful"
"Dr. Huang is incredible! She is the most amazing doctor and truly understands my daughter and her needs. We love her!" "Dr.Huang is AMAZING. wonderful. down to earth, kind and patient." "The doctor was informed of my concern and issue and she accommodated me on a Friday afternoon. " "We loved Dr. Huang! She was professional yet didn't talk over our heads. She listened and we didn't feel rushed. She spoke as a professional and as a mom, which was appreciated. My son responded well to her. She offered us solid advice & a plan." "I respect & appreciate the dr. not putting our appt. short due to taking us in later. We were not rushed by any means." "I have recommended Dr. Huang in parenting groups on social media. It's how I found her. She is excellent." "Dr. Huang is our favorite doctor. She is innovative, thoughtful & excellent with children. She is the only practitioner who gives feedback & suggestions we can actually use." "Dr. Huang was wonderful. She took the time to get to know our son and to review his history. She reviewed everything with us and acknowledged our concerns. We were very happy with our meeting her." "Dr. Huang is the best doctor I have ever had the opportunity to know. The only reason I wouldn't recommend (although I do all the time), is because it makes it harder to get appointments." "Excellent doctor. Very caring & professional." "Dr. Huang was wonderful. She made us feel comfortable and took a lot of time going over questions and medical history." "dr huang always displays great concern and interest in my daughters well being. she is a warm, caring and compassionate provider and is always a pleasure to speak with. she has truly made a tremendous difference in my daughters life"
"I have never had a better doctor than Dr. Huang. The time spent is incredible. Her knowledge is incredible. Her caring is incredible. If doctors could be half of what she is, we would be very lucky." "I have been looking for a dr like Dr. Huang for a very long time for my son and I am so happy we have finally found her!" "Dr. Huang is a wonderful, compassionate, nurturing dr.!" "Dr. Huang has been nothing but kind, caring & professional. She goes the extra mile to see that she has touched on all issues & needs. She is one of the only doctors who I suggest other parents." "Best doctor my son has had! Excellent in every way." "Excellent people skills with young patients." "Dr. has amazing bedside manner, is excellent with my daughter and us." "we love her personality expertise and attention to the patient not just talking to the parent. she is GREAT!" "Dr. Huang is fantastic & I have recommended her to multiple people." "#10. She is great with me & my grandson. Very _____!" 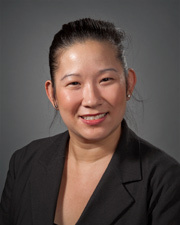 "Dr Huang always takes her time with us and goes over all of our concerns. We have always had a wonderful experience with her and we recommend her often." "Dr.Huang has been God send, she is absolutely wonderful and listens carefully to my concerns about the children all 5 of my children see her." "Dr. Huang has seen my other siblings and my parents are very satisfied with her!" "In my opinion, Dr. Huang is a top notch doctor! I wish all of my children's physicians were as caring and diligent as she is. I always feel heard, comforted, supported and cared for. I always leave armed with strategies to help my child, book suggestions, follow up care and support in the schools as well as with Early Intervention and CPSE. I truly do not know where I would be without Dr. Huang. Her unwavering support has kept me confident in my child's outcomes. Thank you so much Dr. Huang!" "Very friendly and patient doctor." "My son & I loved the Dr. Huang!"